Via UrduPoint.com. A different report give the spur to the murder not as a “minor dispute” but a “robbery bid”. FAISALABAD, (UrduPoint / Pakistan Point News — 10th Apr, 2018): A condemned prisoner was executed in Central Jail Faisalabad on Tuesday. According to Prisons Department, Zahid Iqbal had murdered three persons Rehana, Anayat Ali and Haris over a minor dispute in 2005 and the session court had awarded him death sentence on three counts. The apex court also upheld the decision of the trial court whereas the President also turned down his mercy appeal. 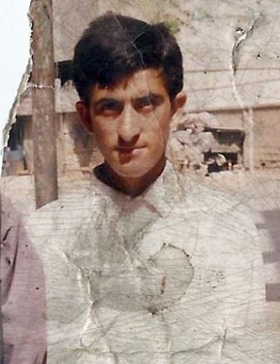 After the rejection of mercy petition, death warrants were issued against the condemned prisoner Zahid Iqbal and the court fixed April 10 for implementation on his execution. Later, the body was handed over to his heirs after completing necessary formalities. 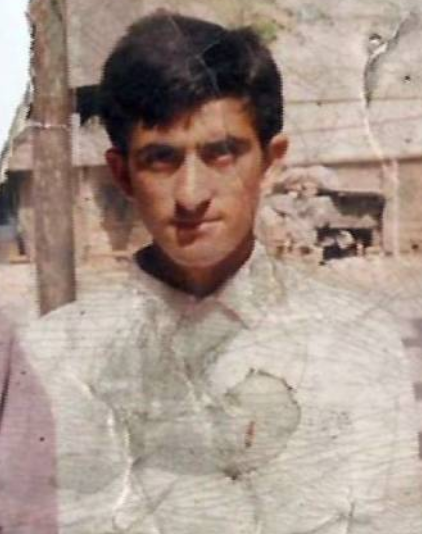 A year ago today, Pakistan amid its ravenous 2015 execution binge hanged Aftab Bahadur Masih in Lahore for a 1992 murder. 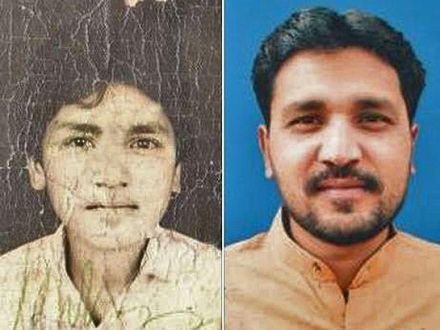 Two faces of Aftab Bahadur Masih, separated by two decades on death row. According to the anti-death penalty organization Reprieve, Masih was only 15 years old when he committed the crime. According to Masih himself, he never committed it at all — but instead was tortured into confession by the police. Don’t take my word for it. Masih wrote a moving first-person essay for the Guardian that was published hours before his hanging. I just received my Black Warrant. It says I will be hanged by the neck until dead on Wednesday, 10 June. I am innocent, but I do not know whether that will make any difference. Read the rest here. Masih was also a self-taught painter; one of his products can be seen in this Wall Street Journal story. Prior to the war certain European nations, and especially those now ranged against us, regarded our Easern Dependency as a country where the great Mutiny would be surpassed in horror by the upheaval that would inevitably follow the entanglement of Britain in a great war, and at the outset of the conflict the German Press confidently relied upon trouble in India as a large factor on their side. Even among a not inconsiderable section of our own countrymen, too, there seemed to be a feeling of doubt. The moment Germany threw down the gauntlet, however, his Majesty’s dusky subjects forgot their little quarrels, closed their ranks, and offered all they possessed in defence of the Empire to which they are all so proud to belong, and with which their future prosperity and advancement are bound up. One century ago today, seven of his Majesty’s “dusky subjects” submitted to the noose at Lahore Central Gaol in preference to submitting to his Majesty. These partisans of the two-year-old expatriate Ghadar party — the word means “revolt” — had been cogitating the subcontinent’s independence since its founding two years prior in the United States. 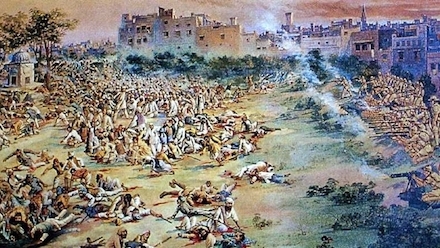 With the onset of World War I, the Ghadarites began returning to India by the thousands with a view towards ejecting the British Raj. For an ambitious objective, an ambitious plot spanning multiple interlocking conspiracies and reaching to the sepoy bunkers of Singapore. The project was a logistical nightmare: no surprise considering the distances and communications lags involved. German-supplied munitions arrived late or (when intercepted in North America) not at all. The movement was penetrated by counterintelligence, and many of its adherents arrested. Full of the desperate recklessness of patriotism, the remains of the conspiracy tried to go ahead with a rising in February 1915: this too was compromised, and easily squelched. 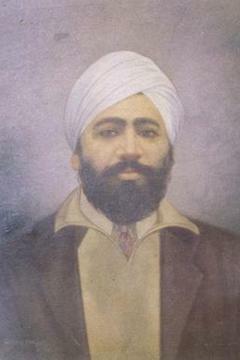 The last in particular, only 19 years old when he hanged, has attained wide recognition as a Punjabi martyr.